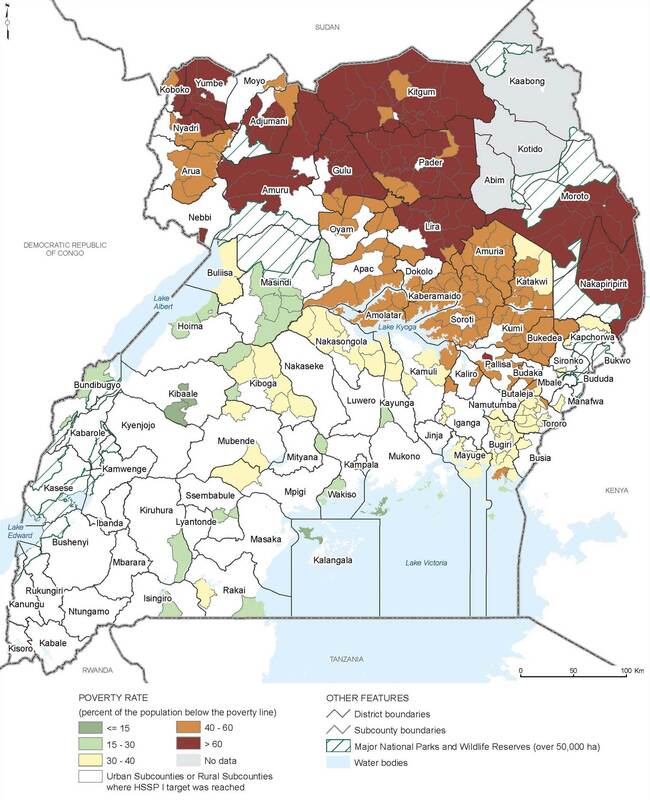 This map displays the poverty rate (the percent of the population below the poverty line) for subcounties that had not achieved Uganda's interim national rural target of 58 percent improved sanitation coverage (HSSP I) in 2002. The brown areas show higher poverty rates, while the green areas represent low poverty rates. The majority of subcounties behind on the HSSP I target have poverty rates above 40 percent with a large number having rates greater than 60 percent.